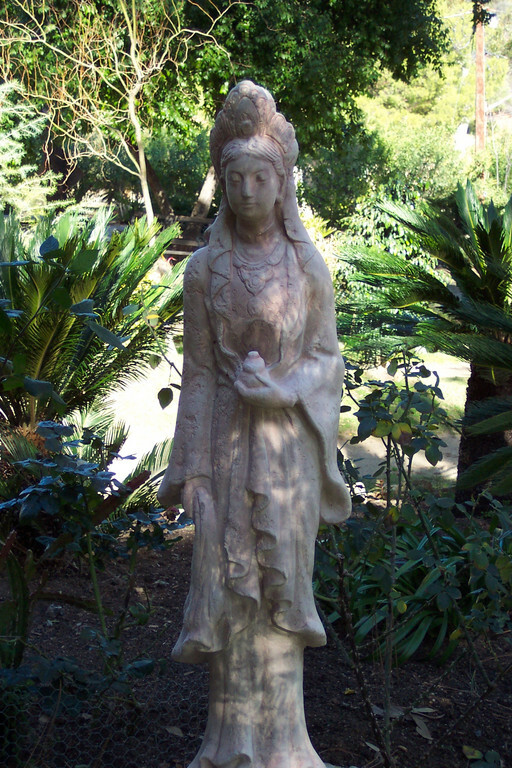 Statue of Kwan Yin, Bodhisattva of Mercy, Dear Park Monastery, Escondo, California. 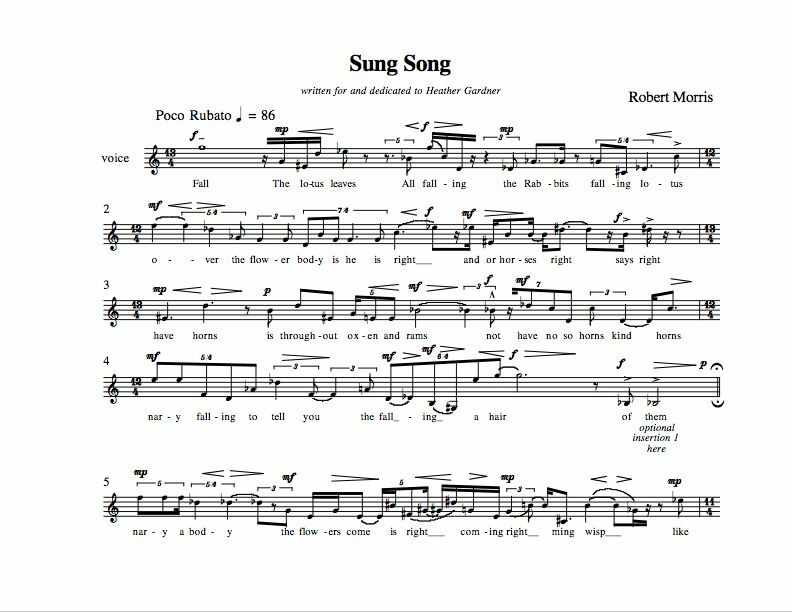 Sung Song is a setting for four texts from the Blue Cliff Record (Chinese: Pi Yen Lu; Japanese: Hekiganroku), a Zen-classic of the Sung dynasty (960-1279 C.E.). This text consists of one hundred public cases (Chinese: kung-ans; Japanese: koans) complied with commentary and capping verses by Hsueh Tou (Japanese: Setcho). I set the capping verses for cases 21, 34, 55, and 89, using translations by Thomas and J. C. Cleary and by Katsuki Sekido; cases 21 and 55 are used twice. The texts are mixed together to form a virtual poem that perhaps emphasizes sound over sense, but is also intended to suggest and perform the deeper meanings of these poems. Sung Song was written at the request of Heather Gardner and is dedicated to her.